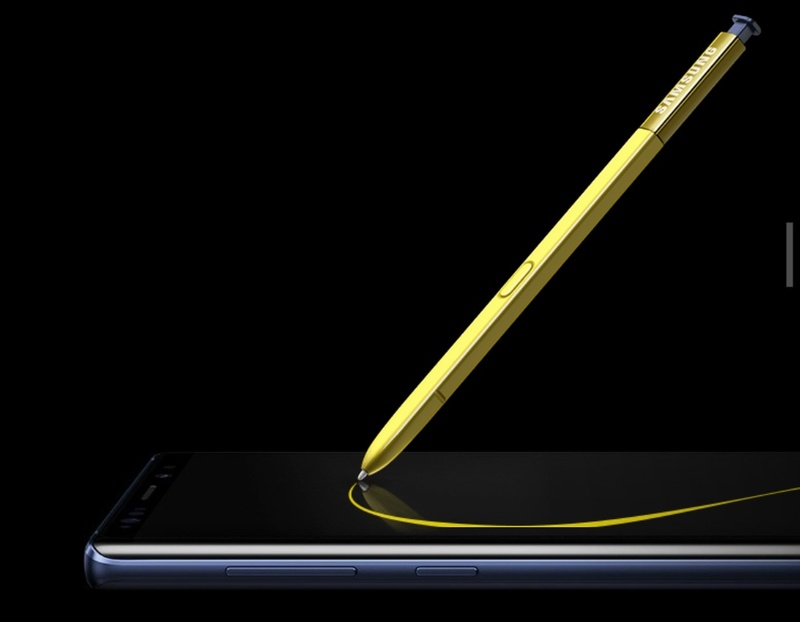 Today, Samsung has officially unveiled the Galaxy Note 9 with a huge 6.4-inch display, stunning features, and an improved S Pen. The new Samsung Galaxy Note 9 looks similar to the Galaxy Note 8. It runs on the Android 8.1 Oreo and supports wireless charging. The Samsung’s Dex feature is also available on the phone. You can plug the Note 9 into an external display or monitor to get a desktop-like experience. 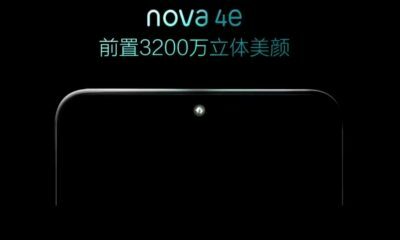 Other features: Fingerprint Sensor, an iris scanner, NFC, Samsung Dex, Bixby, S Pen, etc. Display: The Samsung Galaxy Note 9 features a 6.4-inch Super AMOLED Infinity display with Quad HD+ (2960 × 1440 pixels) resolution and an 18.5:9 aspect ratio. The iris scanner and sensors up top are hidden away. 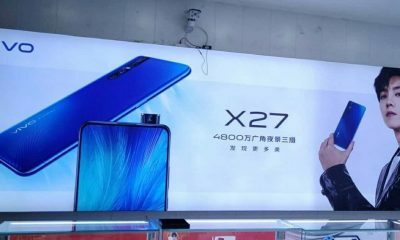 Performance: The device is powered by the Exynos 9810 or the Qualcomm Snapdragon 845 SoC. 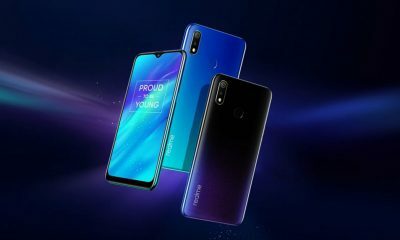 The phone gives you excellent performance during game time with a cutting-edge processor that cuts down on lag, a water-carbon cooling system that helps prevent overheating, and an AI-based performance adjuster. It comes with 6GB or 8GB of RAM and 128GB or 512GB of internal storage. There’s a microSD card slot for storage expansion up to 512GB. So, it can store almost 1TB of data in total! 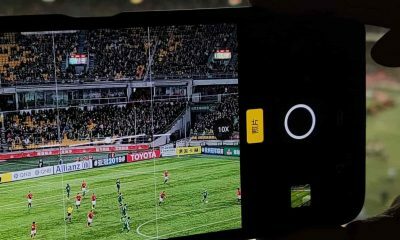 Camera: The Samsung Galaxy Note 9 features a dual rear camera setup that consists of a 12MP telephoto sensor and another 12MP (f/1.5 – f/2/4) wide-angle sensor with OIS and LED flash. On the front, there’s an 8MP selfie camera with f/1.7 aperture and portrait mode. It can shoot 4k videos and makes use of HDR mode for brilliant pictures even in low lighting. 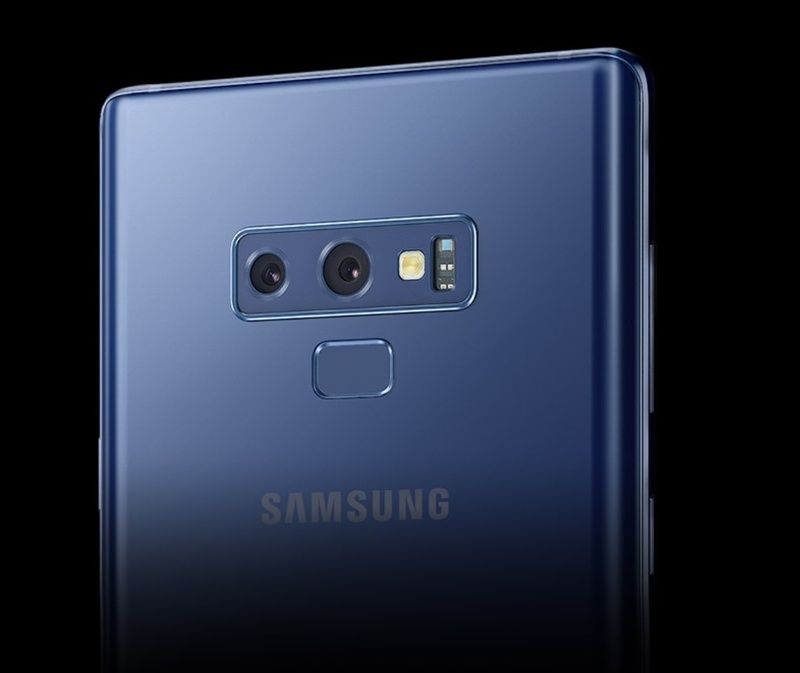 The Note 9 packs a 4000 mAh battery with fast charging technology and wireless charging support. It runs on the Android 8.1 Oreo operating system. The Galaxy Note 9 is IP68 rated, this means that it is dust and water resistant. It supports dual-band Wi-Fi 802.11ac, Bluetooth v5.0, USB Type-C, NFC, a 3.5mm headphone jack, etc. 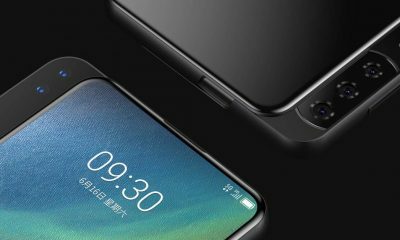 The fingerprint sensor is placed at the back. You can use iris scanner, pattern, pin or face recognition for security. S Pen: The S Pen has Bluetooth technology which allows you to take control of your camera, presentations, and apps by pressing just a button. You can draw, take notes, and send Live Messages using it. The starting price of Galaxy Note 9 is $999 – the model with 6GB RAM and 128GB inbuilt storage. The variant with 8GB RAM and 512GB storage is priced at $1250. 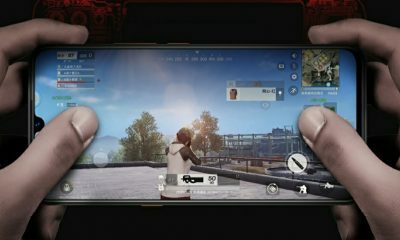 Pre-orders will begin on 10th August 2018 and the phone will be available on August 24th in the US. 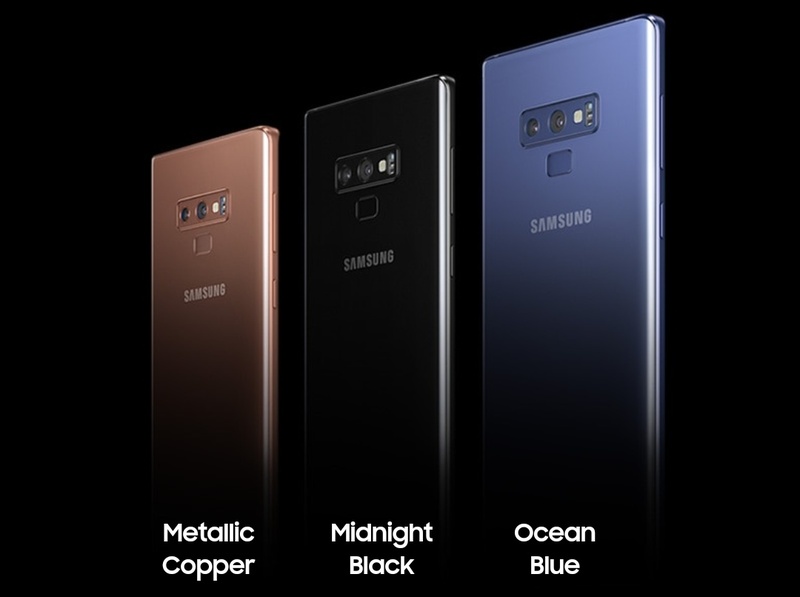 It will be available in four different colors – Midnight Black, Metallic Copper, Ocean Blue, and Lavender Purple colors.